These Chinese eggs are delectable. They were so fantastic I couldn’t stop eating them. I got the idea from Eating China. I am not sure if these are traditional Chinese tea eggs. I changed a few ingredients in my recipe. I used teriyaki sauce instead of the traditional soy sauce. 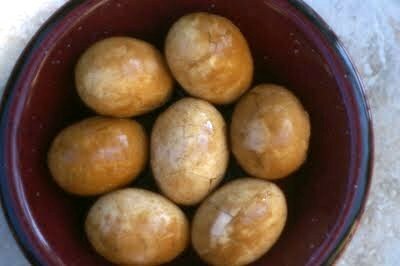 It imparts a wonderful flavor to these fragrant eggs. Place the eggs in a medium pot and fill with water. (make sure the eggs are covered by about 1 inch of water) Bring to a boil. Allow to boil for 1 minute. Cut off stove and move pot away from the eye. Allow to sit in the water for 18 minutes. Remove the eggs (keep the water in the pot). Gently tap the eggshells and crack the shell all over, keeping the shells intact. To the same pot that we removed the eggs, add the tea bags and allow the tea to steep for 5-8 minutes. Remove the tea bags and discard. Add the teriyaki, cinnamon stick and zest. 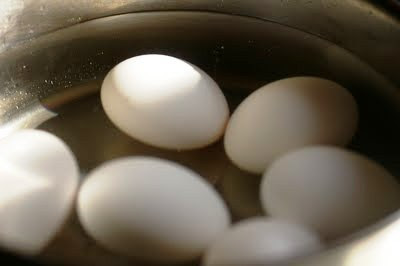 Add the eggs back to the water and allow to steep for several hours or up to two days. (keep refrigerated) My eggs steeped in the refrigerator overnight. The longer you steep the eggs, the deeper the flavor and color. How lovely look this Ver+onica!!! Amazing you even made those! I must make some too (hopefully soon)! Ooh! They look divine… I’m going to try those! 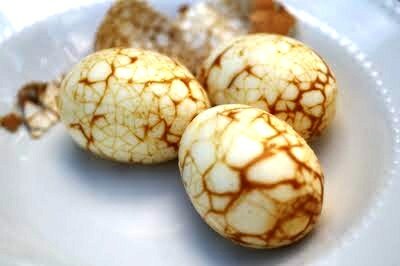 I love the marble look on those eggs! These do look amazing. I have never tried these but will remedy that soon. That is SO cool! They are absolutely stunning….I love eggs and I suspect these are delicious! You hit this one out of the park – buzzed! Absolutely beautiful looking! Congratulations to my fellow top9er! Well deserved. Congrats on your top 9. I want to try this. CONGRATS ON TOP 9… ! The eggs are looking awesome, loved the new looks of eggs and will surely try ! 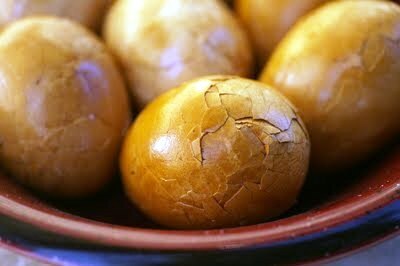 I love chinese tea eggs and I couldn’t stop eating them, too!